How do you tell your baby that you’re sick? Very sick. Last week, on a quiet afternoon, I sat beside Daniel while he was reading on his bed. It seemed like a nice time to talk. He has been such a strong, supportive boy through my struggles this summer. From helping to guide me when I could barely see, to carrying things now that my left arm is weak. He’s been my rock. I love him so much. So, my conversation started there. Telling him how much I’ve appreciated his thoughtfulness, his help, his support. Then I asked him if he knew what was happening with me? He said he thought I’ve been sick. “Yes, there’s a name for the disease I have. It’s called Multiple Sclerosis.” I almost broke down in tears, but I managed to hold them back. He doesn’t know how scary this disease is or can be and I don’t want to frighten him. “Will you get better?” – yes, my vision is much better and I’m hopeful that my arm will feel better in a few weeks. But something else will happen to me as time goes on. Together we’ll deal with it when the time comes. “Can I enter the read-a-thon?” -what read-a-thon? 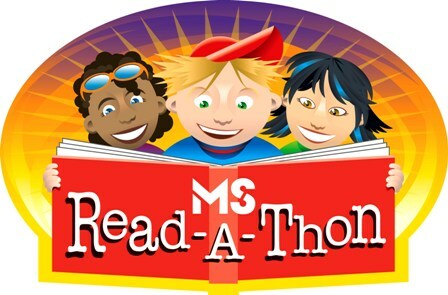 “Chick a Dee has a page about an MS read-a-thon to raise money. It’s right here… look…” – let’s check into it. I’m so proud of you for wanting to take action. Big hug. That is so sweet. He really is a special child. I've sent an email to the MS Society of Canada asking them how he can participate. We'll see how it goes…I'm so proud of him.